A dark historical reality exposed. In 1923 Marlow, Oklahoma, at the hotel belonging to Albert and Lula Berch, Albert is murdered trying to protect his African-American porter from an angry mob. 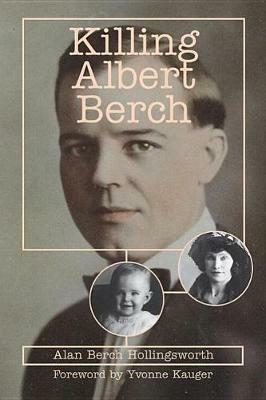 After his death, the case unravels, and the truth of Albert Berch and his murderers emerges. Tracing his own family history, Dr. Alan Berch Hollingsworth discovers that it's not just the Marlow townspeople who have something to hide. Why did his grandfather insist on hiring an African-American porter, violating the era's Jim Crow segregation laws? How is the KKK involved in this gruesome crime? Unlocking the secret to his grandfather's murder, he uncovers a true crime story of racial violence in 1920s Oklahoma.